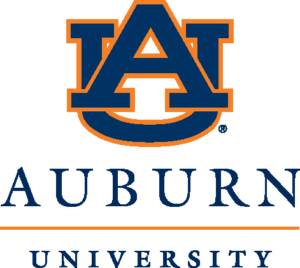 Auburn University appears in our ranking of the 10 Best Online Colleges for a Master’s Degree in Hospitality. Auburn University offers several ways to study hospitality management with two undergraduate degrees, a Ph.D. program with an option in hospitality management, and a handful of certificate programs. Available undergraduate programs include the Hospitality Management – Event Management Option and the Hospitality Management – Hotel and Restaurant Management Option. Students who already have a graduate degree may choose the Ph.D. in Nutrition with an option in Hotel and Restaurant management. Creative certificates in hospitality include Event Planning & Banquet Management and Event Planning Entrepreneur. Degrees are offered by the College of Human Sciences and certificates are offered by the Office of Professional & Continuing Education. For undergraduate students, courses may include Introduction to Hospitality Management, Hospitality Law, Culinary Fundamentals, Food Production in Hospitality, and Lodging Operation. Students who choose the Event Management Option will take between 14 and 18 credit hours per semester for four years. Students may want to pair their hospitality bachelor’s degree with one of the complementary minors offered by the College of Human Sciences. Minors include Health Equity Science, Human Development and Family Sciences, International Minor in Human Sciences, Hunger Studies, and Philanthropy and Nonprofit Studies. As a senior, students will enroll in Internship in Hospitality, which requires that students have a 2.2 cumulative GPA and gain 600 hours of work experience in hospitality while enrolled in the program. For students at the graduate level, the university offers a Master of Science (Online) and a Ph.D. in Nutrition, both with an Option in Hotel and Restaurant Management. Courses required in the Ph.D. program include Hospitality Enterprise, Theoretical Developments for Hospitality, Advanced Tourism Analysis, and Current Issues in Hospitality Management. Doctoral students will also take a minimum of 10 hours in dissertation study, as well as enroll in several elective courses that may include Conference Coordination, Club Management, or Catering and Event Management. Students are also encouraged to take supporting courses in other areas like marketing, education, management, and economics. Students can also use the program to become a registered dietitian and are encouraged to seek out extension assistantships, teaching opportunities, and research projects during enrollment. Students who don’t wish to enroll in a complete degree program may want to try the Event Planning & Banquet Management Certificate or the Event Planning Entrepreneur Certificate. These programs are usually less than a year in length and are mentor-supported educational programs. Certificates are arranged in modules that provide class and research opportunities on subjects like communication, event leadership, global business, and event implementation. Auburn University is located in Alabama and was established in 1856 as East Alabama Male College. It was initially affiliated with the Methodist Church and had just eighty students enrolled when it first opened its doors. Today, the school is the second-largest university in the State of Alabama. The university was also the first public land-grant university in the state. Today, there are more than 23,000 undergraduate students attending the university at its Auburn location, as well as several thousand more enrolled as graduate students. The campus covers 1,843 acres in Auburn, and the school’s official colors are navy blue and burnt orange. The university’s mascot is Aubie the Tiger, and students on sports teams play in NCAA Division I games. The regional accreditation agency for Auburn University is the Southern Association of Colleges and Schools, Commission on Colleges. Some of the programs accredited by various agencies include the didactic program in dietetics, which has been accredited by the Academy of Nutrition and Dietetics, Accreditation Council for Education in Nutrition in Dietetics, and the undergraduate program in nursing, which has been accredited by the Accreditation Commission for Education in Nursing, Inc. Other organizations that have accredited programs at the university include the National Association of Schools of Art and Design, the National Association of Schools of Music, Commission on Accreditation and the National Association of Schools of Theater, Commission on Accreditation. Admission standards for first-year students at Auburn University include having completed the recommended college preparatory classes as listed by the university. Those classes include two years of science, three years of math, three years of social science, and four years of English. Applicants must also submit high school transcripts, scores from the ACT or SAT standardized test, answer an essay question, and provide their high school grade point average. General admission requirements for graduate programs vary, and the university requires that application materials are received no later than 45 days before the start of classes. Applicants must have a bachelor’s degree from an accredited school, take the GRE or GMAT and submit test scores, and submit letters of recommendation, transcripts, and an application fee of $60. Tuition at Auburn University is $5,638 for Alabama residents and $15,262 for non-Alabama residents. Other costs a student may need to cover include room and board charges of $6,666 and $3,491 for books, supplies, transportation, and personal costs. Graduate students will pay $5,641 if they’re an Alabama resident and $15,271 if they’re a non-Alabama resident. Books, supplies, and room and board charges are the same for graduate students as they are for undergraduate students. Students may pay more for their tuition if they enroll in extra credits for the semester and can speak with someone from the college about specific costs related to attending Auburn University. Students attending online classes may pay slightly more for tuition. For example, the Business program online is $6,468 per semester. However, all students pay the same rate for online tuition, even if they’re from another state outside Alabama. Financial aid at Auburn University can come in the form of loans, grants, scholarships, and Work-Study awards. Students will submit a FAFSA form each year to qualify for aid and will receive an award letter from the financial aid office. Student loans guaranteed by the federal government offer students a low-interest option for borrowing money for college. Students may qualify for federal grants at Auburn University if they’re seeking their first undergraduate degree and can demonstrate financial need. The Federal Work-Study Program helps students find employment while they attend school and requires the student to demonstrate financial need. Incoming students may also qualify for a variety of scholarships or veterans benefits if they’ve served in the armed forces. Students interested in the Hospitality Management programs at Auburn University should explore all possible avenues for financial aid assistance.